The industrial scale of looting at Mediterranean region sites from the 1970s has been highlighted by the revelations of the Medici conspiracy. Each lorryload of material that is returned from warehouse facilities in Switzerland represents 100s of archaeological contexts that have been destroyed and left (largely) unrecorded. Over 300 objects have been returned from North American public and private collections. Their acquisition in the first place reflects a passion for acquisition that was not matched by a professional desire to retain information. 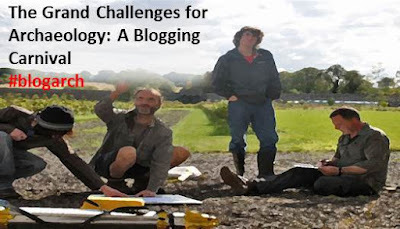 In the UK there is the challenge that metal-detectorists continue to search unrecorded archaeological sites and remove the items without (always) asking for professional archaeological advice. The Roman cavalry parade helmet that was said to have been found at Crosby Garrett in Cumbria not only has no confirmed findspot, but it has now passed into private hands and is not available for regular public display. One of the most notorious recent examples was the removal of the Lenborough Hoard from a known archaeological site that appears in the Historic Environment Record (HER). Known archaeological sites are being deliberately searched, such as the Roman Saxon Shore fort at Bradwell on Sea in Essex. This is particularly tragic as part of the site has been lost due to coastal erosion. One of the most pressing challenges is the preservation of archaeological sites in Syria and northern Iraq. The world's media have commented on the deliberate public destruction of monuments at the World Heritage site of Palmyra (e.g. noted here). At the same time there is evidence that archaeological sites in Syria are being systematically looted, and that some of this material is ending up on the market in London (e.g. discussed here). There needs to be wider public debate by archaeologists highlighting the loss of knowledge to the world's unique and irreplaceable heritage.